I have to share. I found this treasure on eBay last week. 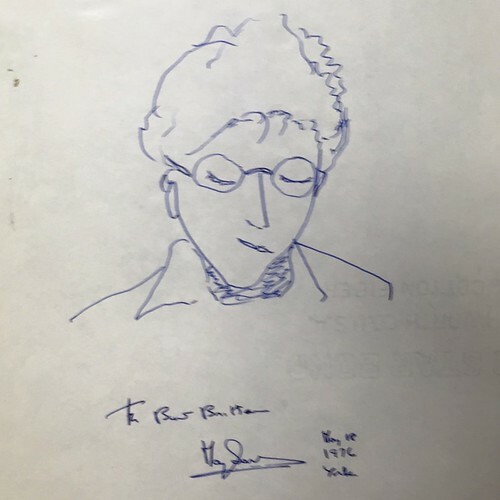 It is a self-portrait May Sarton did for Burt Britton, who worked for the Strand and asked authors to draw him self-portraits, which he eventually published in a book, Self-Portrait: Book People Picture Themselves. I didn't even know this existed until last week, so to have stumbled across it on eBay and to now own it only makes me a little excited.